My Greatest Mom Moment was on October 31st, 2008. It was at the moment when I caught my daughter being born and pulled her up to my face, kissing her and singing to her of how much I loved her. She looked at me so peacefully with her big beautiful eyes, and I knew that my life had changed forever because I was now a mama. Nothing will ever touch my greatest moment of bringing my daughter into this world naturally and gently, allowing me to experience the power and love of being a mother. Sage Creek felt that my moment was “beautiful” and thus chose it as the winner. Winning is a great thing, especially if you really in need of the item that’s being given away (and my daughter is really in need of clothing right now). Better than that, though, is being a mom. Let’s face it: I love being a mom. Not the after-birth-mom-body, but definitely the being-a-mom-part. 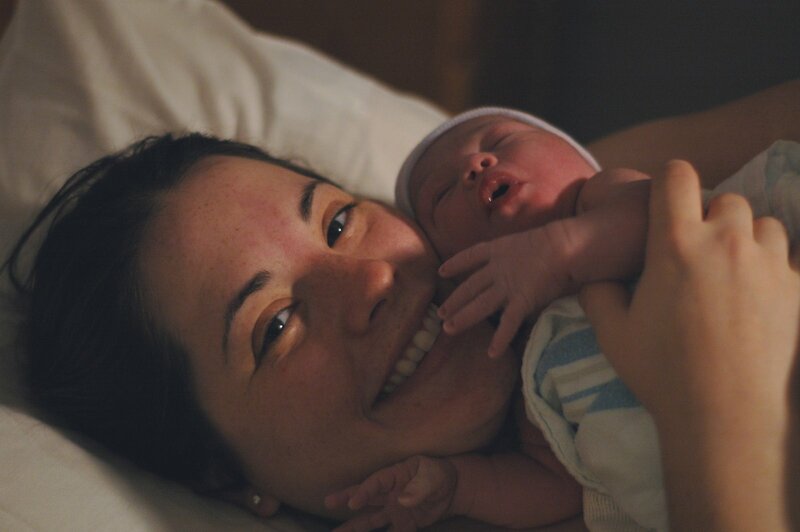 Many women don’t consider their birthing experience one of their greatest “mom moments,” though. What made it different for me? Hypnobirthing. This week, I will be explaining what exactly Hypnobirthing is and sharing the benefits of it…Including giveaways! The Hypnobirthing company has graciously given me some things to share with my readers including books, CD’s, and clothing, so be sure to come by every day to get more information and free products so that you too can experience birth as one of your greatest mom moments.